Kenneth Brink is a physical oceanographer and senior scientist at Woods Hole Oceanographic Institution (WHOI). 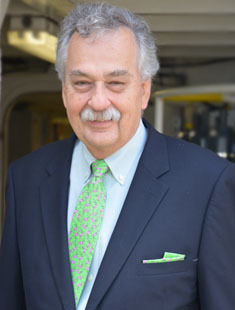 He is a graduate of Cornell and Yale Universities and a fellow of the American Meteorological Society and American Geophysical Union, among others. Dr. Brink is editor of the Journal of Marine Research. He serves on the editorial boards of The Sea, the African Journal of Marine Science, and of Annual Reviews of Marine Science. His service on committees, both governmental and NGOs, is extensive.